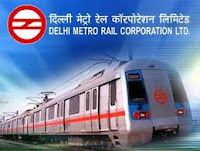 Delhi Metro Rail Corporation Ltd (DMRC) Has Invited Application Form For 114 Jr. Engineer, Assistant Manager. Education: Diploma in Engineering, BE / B.Tech or its equivalent qualification from a recognized Board/University. How to Apply: Eligible and Interested candidates may fill the online application through official website before or on 27-06-2016.